Gravelmap is growing at a rapid pace! The route database recently cleared twenty thousand miles – a big increase from around 5,000 a year ago. We appreciate all of our users and the quality routes you're continuing to add. 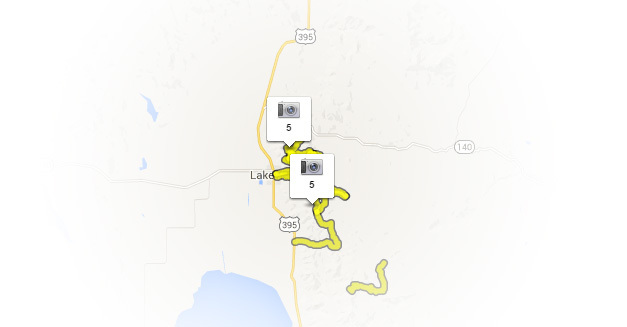 In addition to a variety of ongoing bug fixes and performance improvements, we're happy to report the completion of a feature that's been in the works for months and is easily the most frequently-requested item on our ongoing to-do list: route photos! Read on for details. 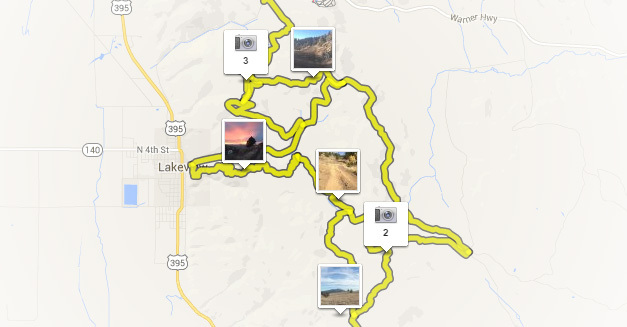 Photos appear as thumbnail icons on the map along routes. If multiple photos are present in an area and you're not zoomed in close enough to see them without overlapping, they will be grouped into sets. Click on a set to zoom to it. When zoomed closer, individual photos will become visible. Click on an photo's thumbnail to view it. 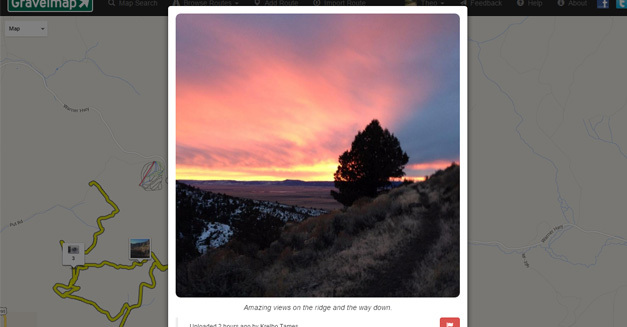 If the photo isn't relevant or is inappropriate for the route, a Flag button is available to hide it and let us know. Adding an photo to a route is easy. Click on the route, then click on the Add Photo button. Drag and drop your photo to the specified area, or click on the button to select a file from your computer or device. 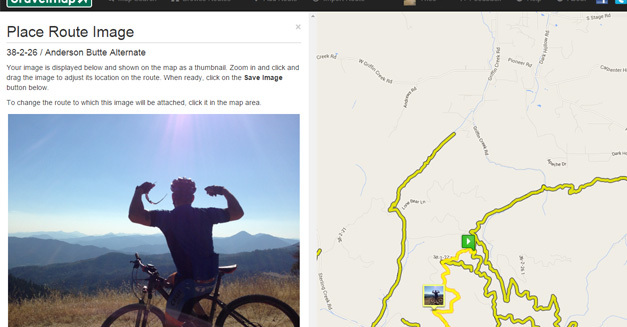 After it's uploaded, you can place it along the route using the highlighted thumbnail in the map area. Gravelmap will attempt to read location data from your picture (which is present if you've taken the photo from a phone or other device with location services enabled) – if your pictures contain a location, you often won't need to reposition them at all. Keep in mind that photos are attached to routes. You can click on a different route on the map to change the route to which your photo will be saved. Receive site updates, information about new features and more by liking our Facebook page. Stay tuned for our next Facebook contest! 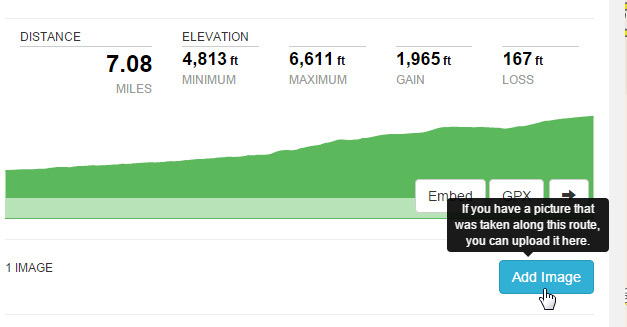 Next up, we're planning on finishing a long-awaited set of route editing tools. Please get in touch if you have any suggestions or issues to report with the new route photos feature, and, as always, please don't hesitate to report any suggestions or problems using the Feedback button in the header, or via email to info at gravelmap.com.